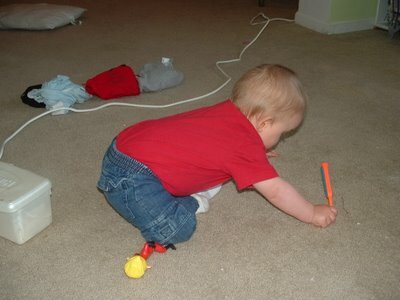 The Bethany Harty Blog: So I Can't Crawl...So What! OK, so the baby at church that was born 1 1/2 weeks after Jim has been crawling for about a month. Jimmy has other skills. Like drooling and growing chunk!